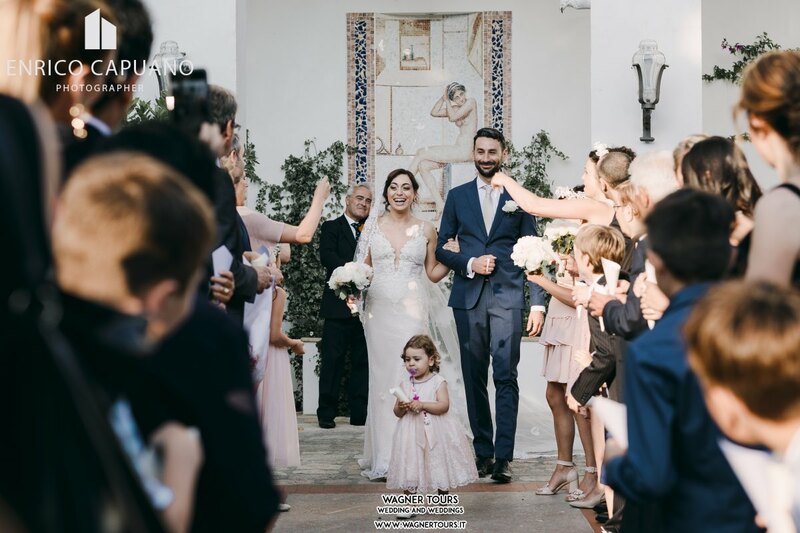 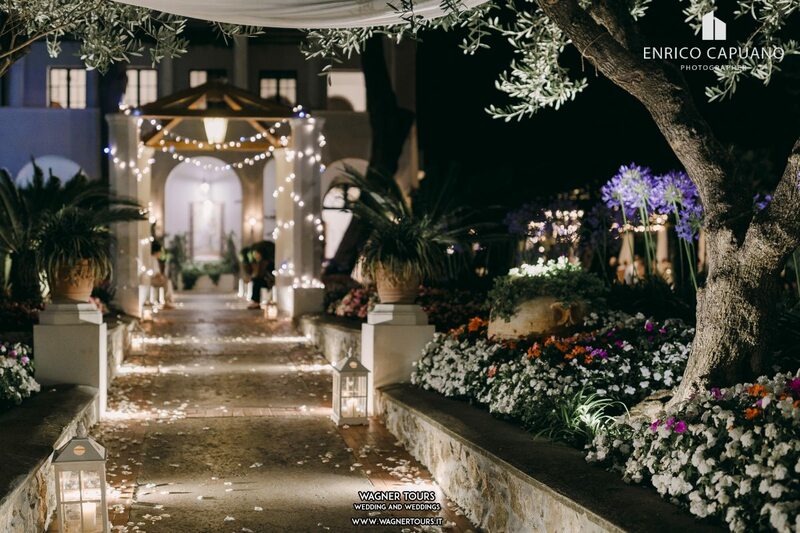 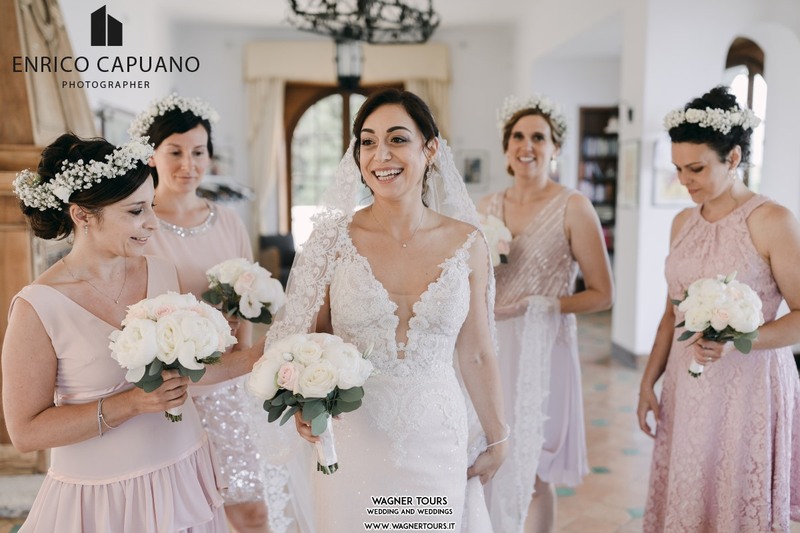 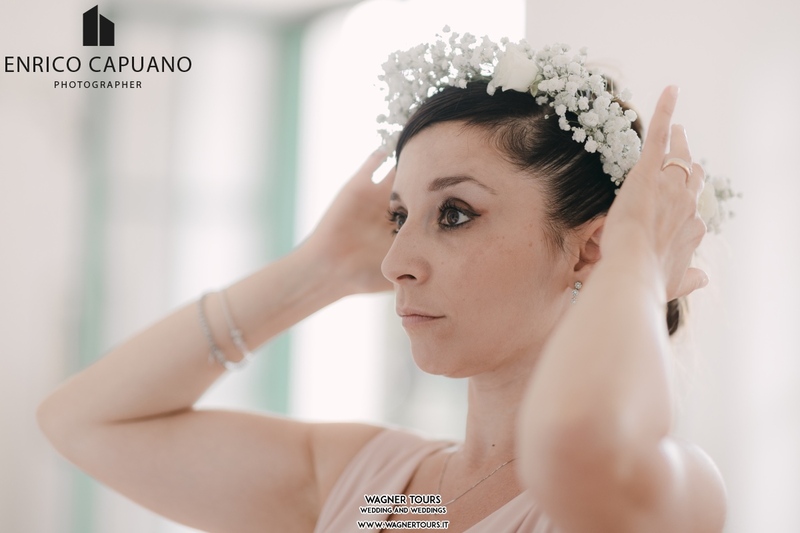 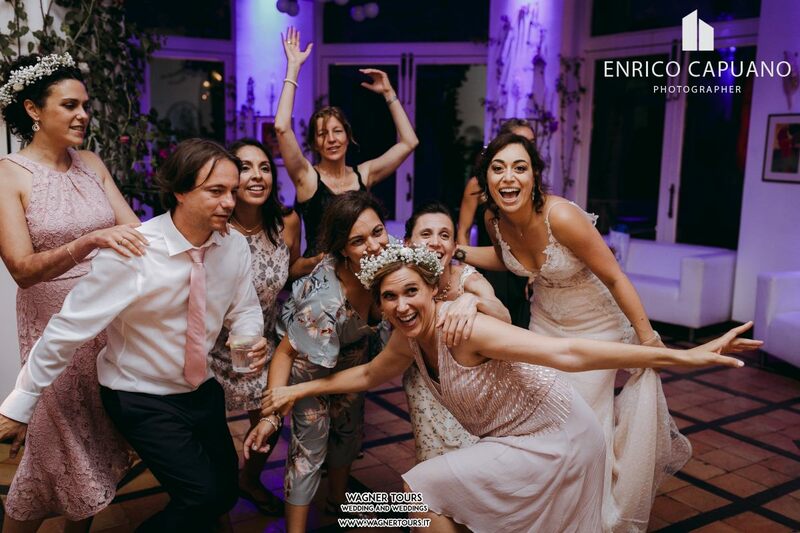 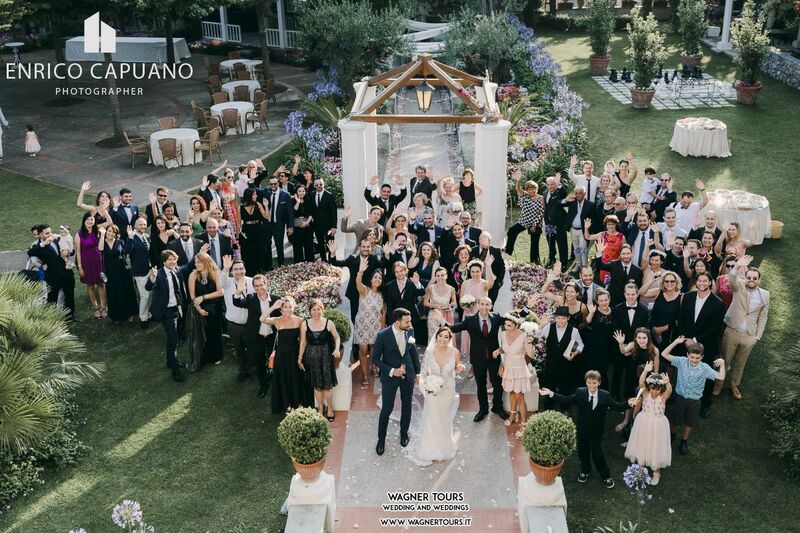 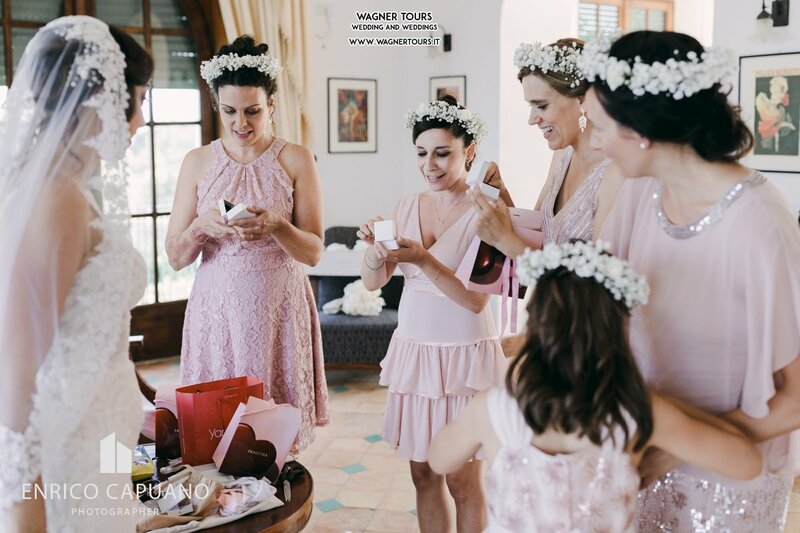 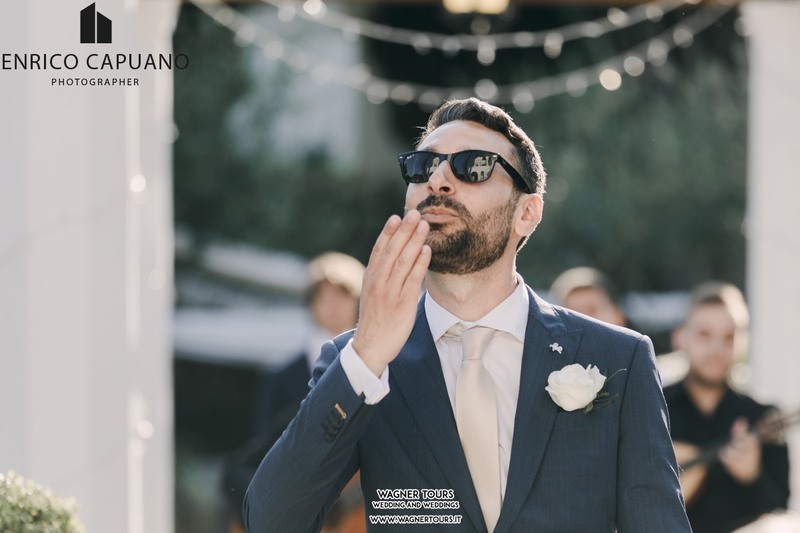 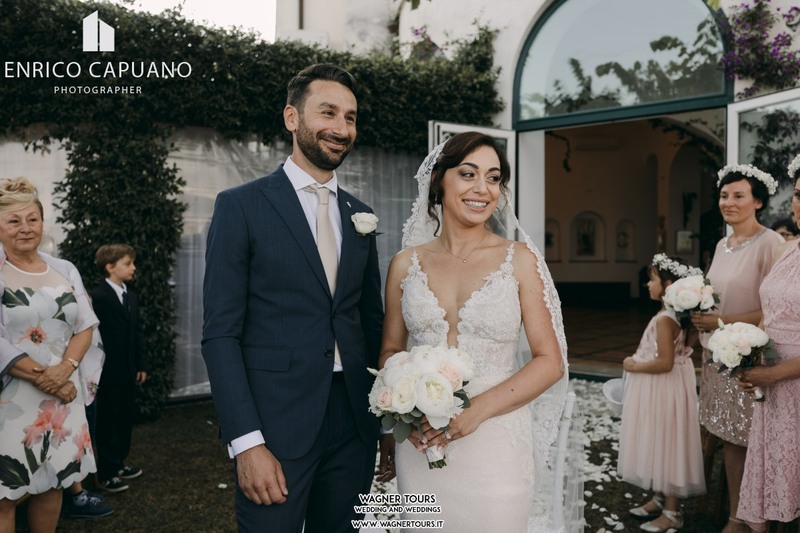 Fred and Marghe review : Mario and Annamaria really make dreams come true and our wedding was the proof, From the first discussions to the actual realization of the event, Mario and Annamaria created more than just a wedding, they gave us the experience of a lifetime. 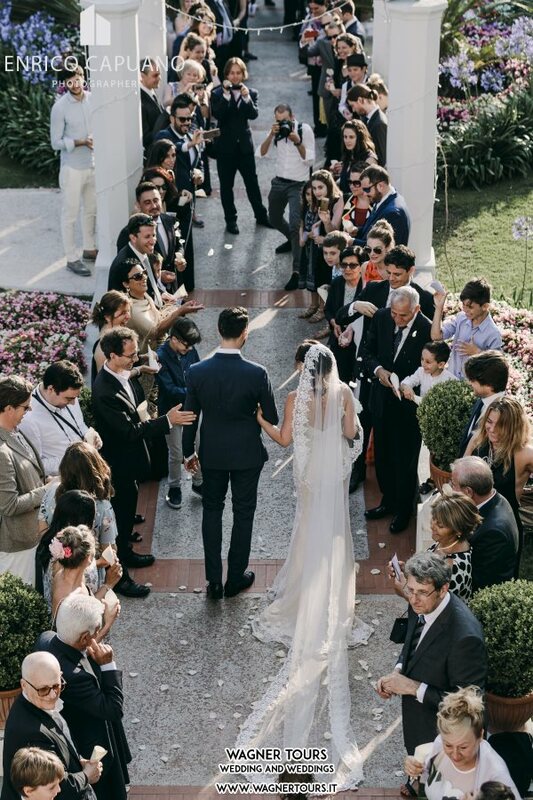 This wedding was a long event in the making. 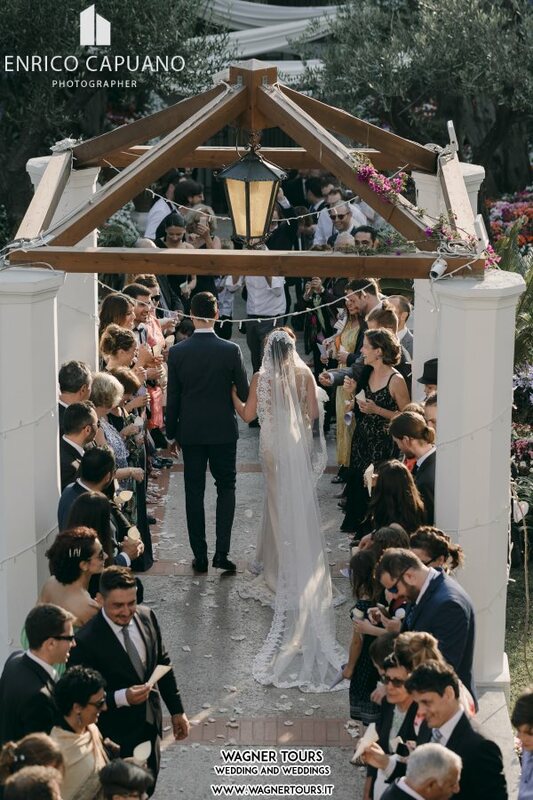 Mario and I started talking about it when we came visiting the location a year and half before our date. 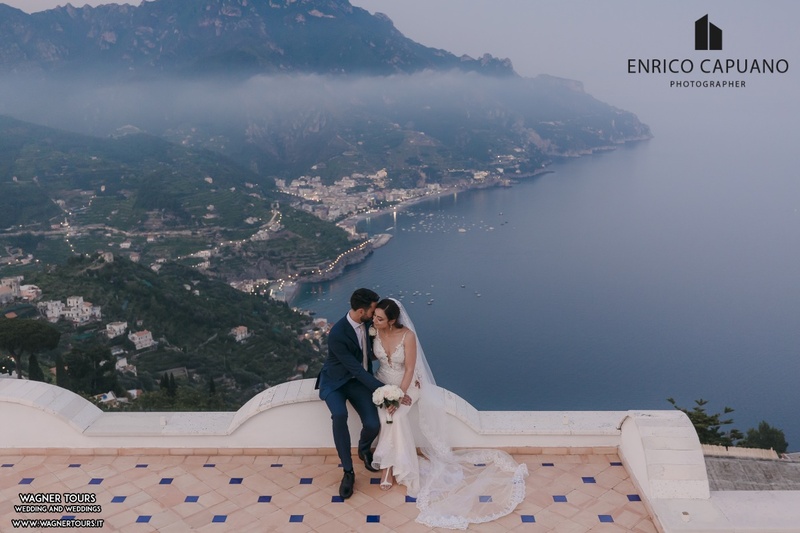 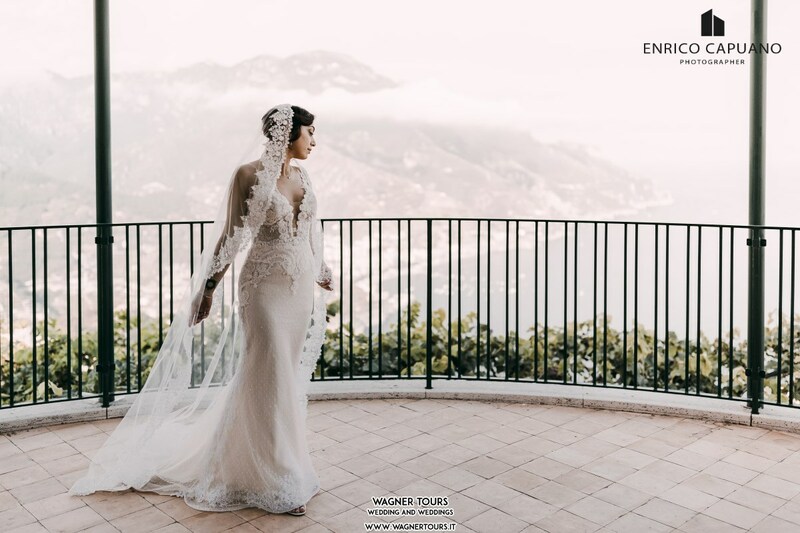 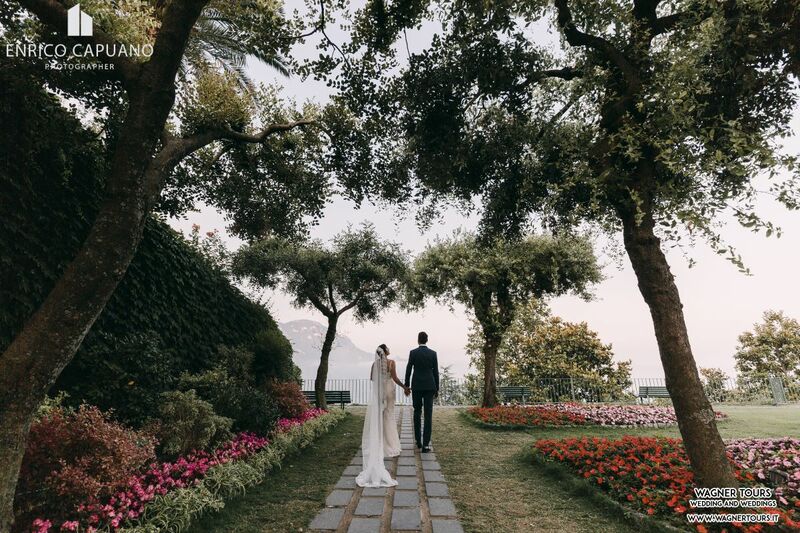 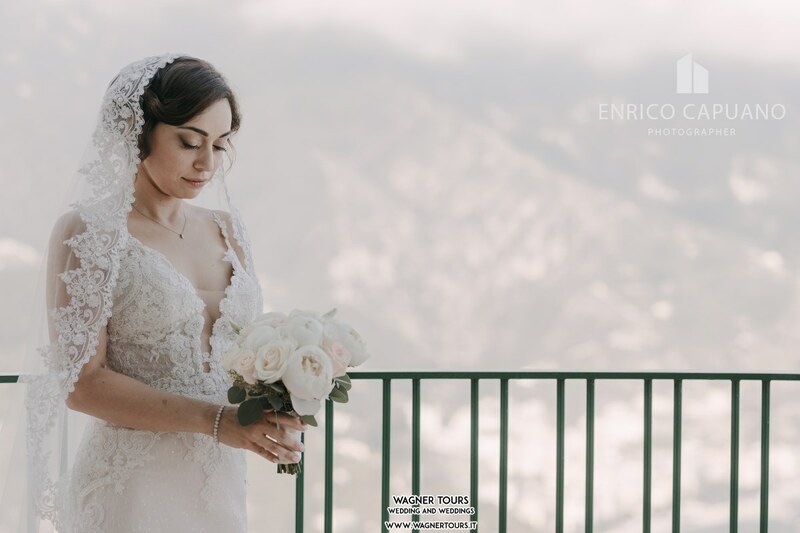 Even if it was winter at the time, we could see that Ravello and the villa itself were absolutely breathtaking and they would be the perfect setting for our wedding. 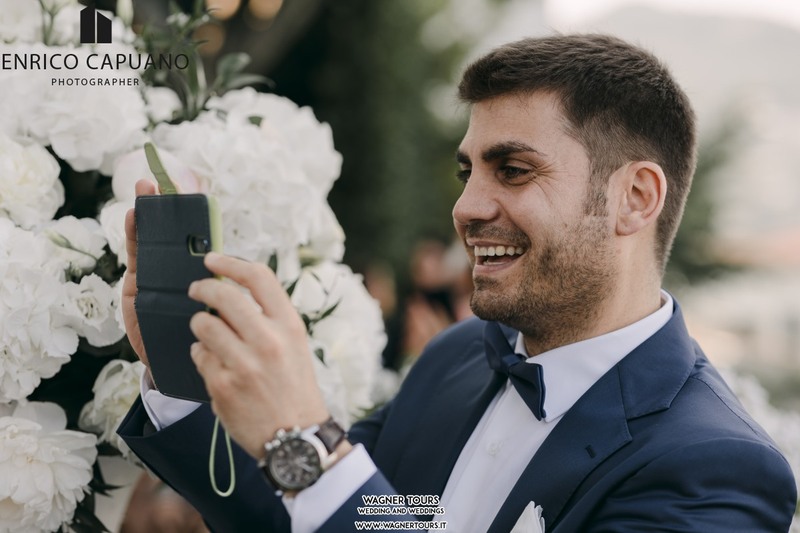 Mario knew how to help us picture the event and we were sold.The planning and the organization went on smoothly and communication was constant and on point every time. 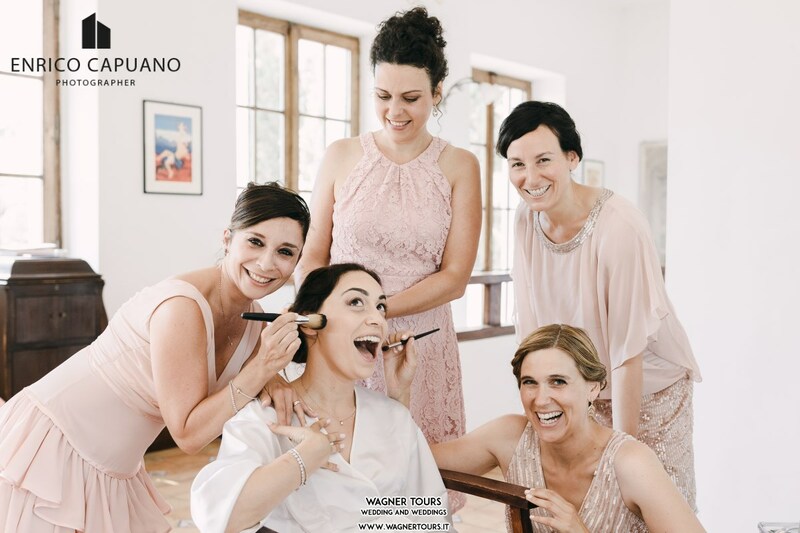 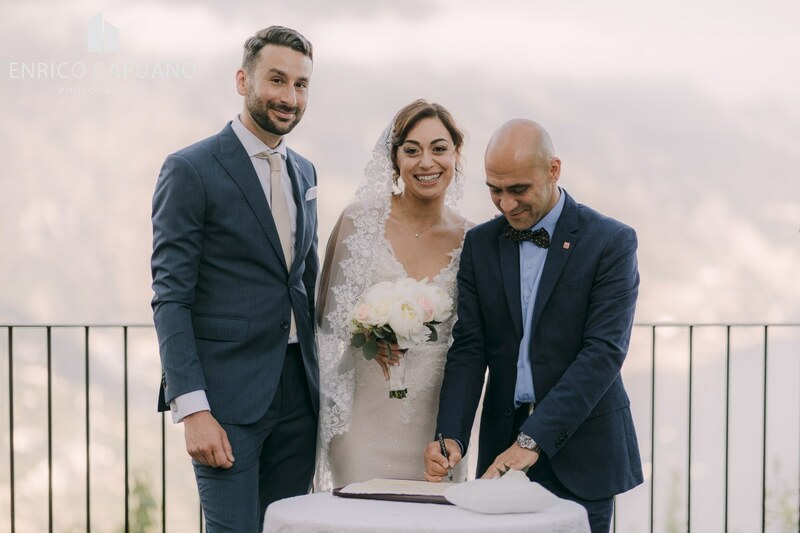 I was still nervous about organizing a destination wedding, especially one that would be attended by a very multicultural crowd, but Mario and Annamaria surely delivered. 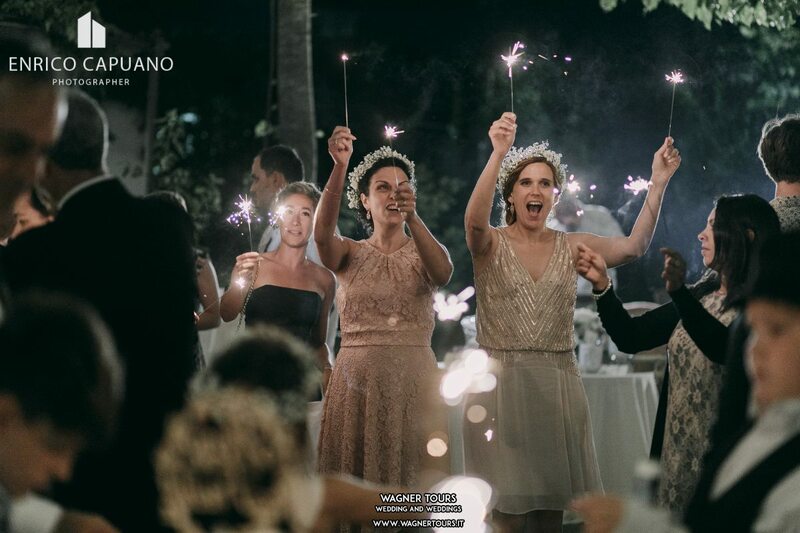 The quality bar was already high, but they manage to surpass any possible expectation. 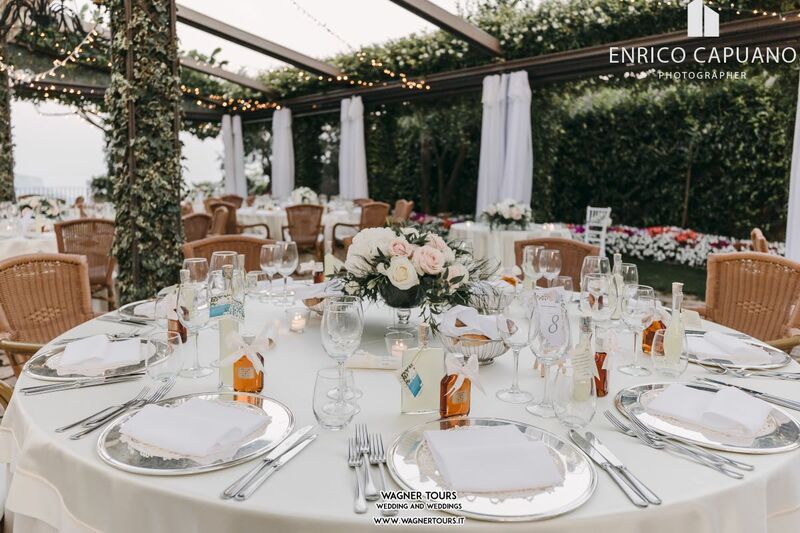 The food was outstanding (praised through and through by our guests), the wine choice divine and it was the progression of the various parts of the wedding, which worked like a clock. 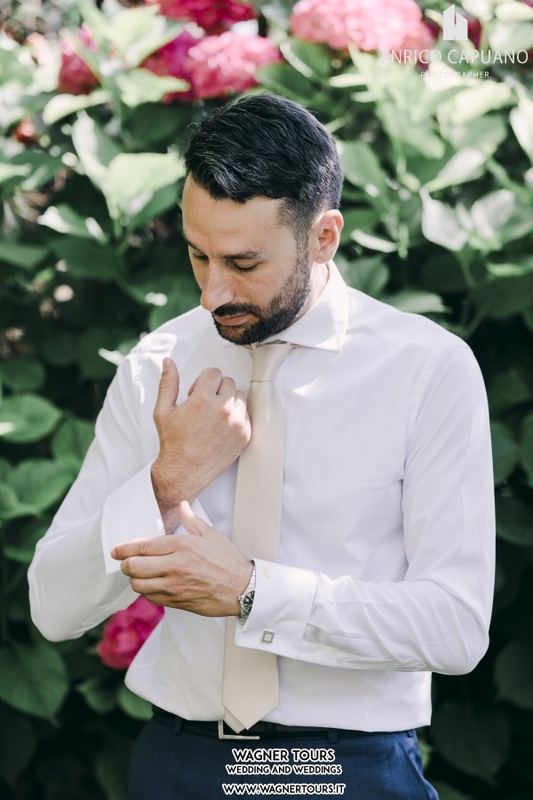 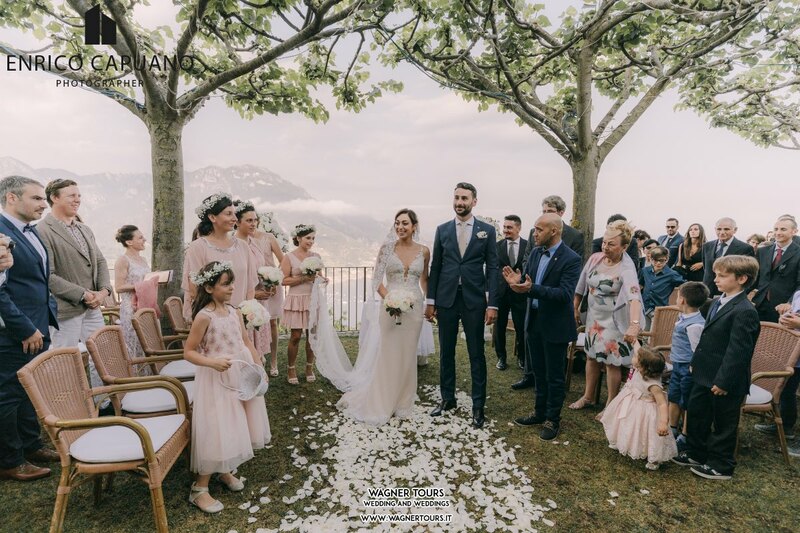 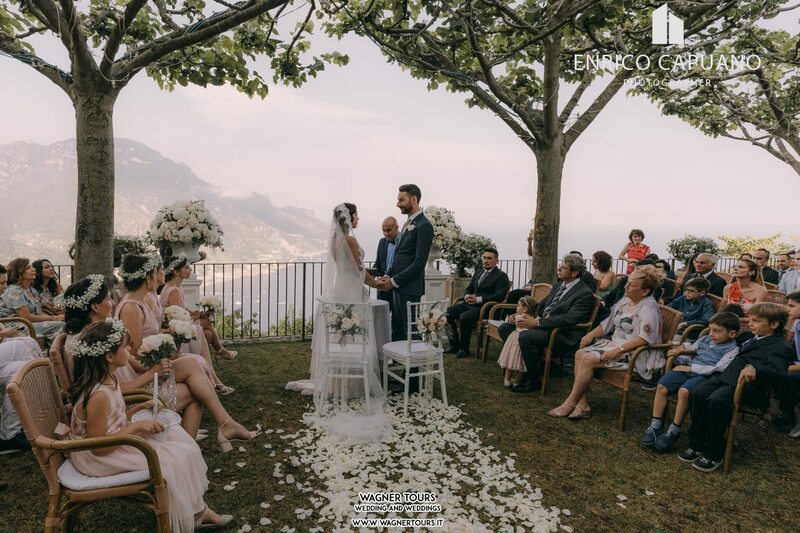 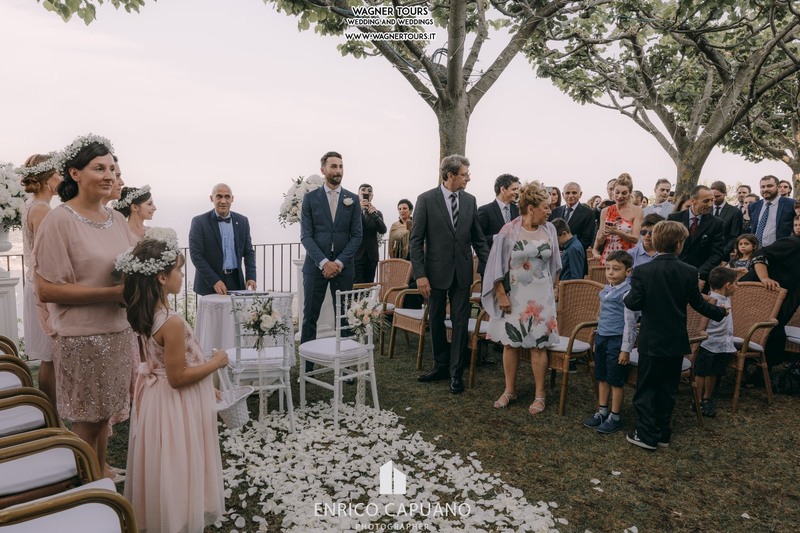 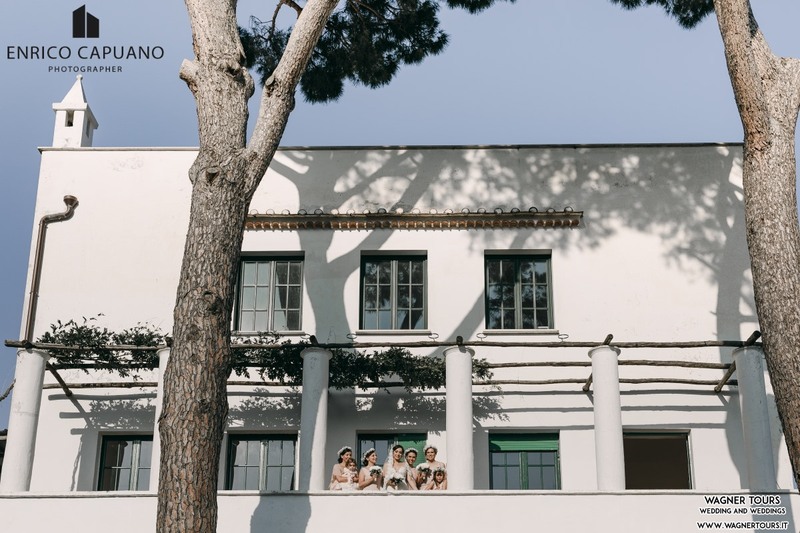 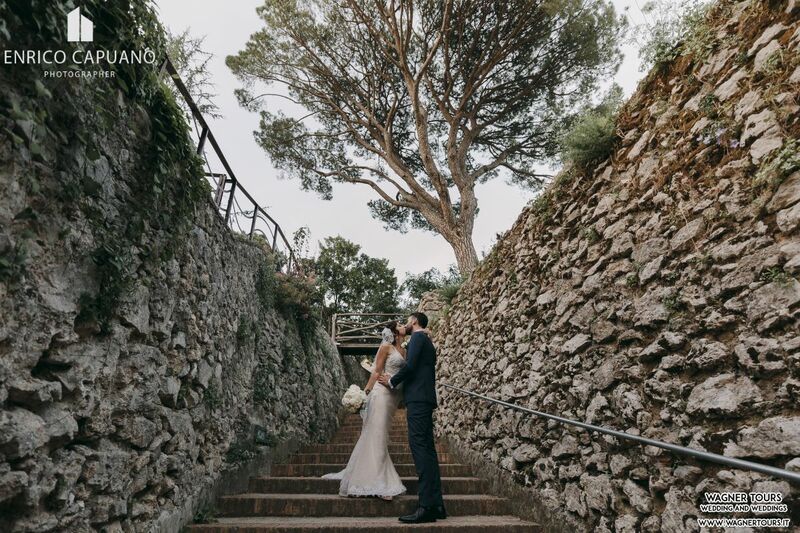 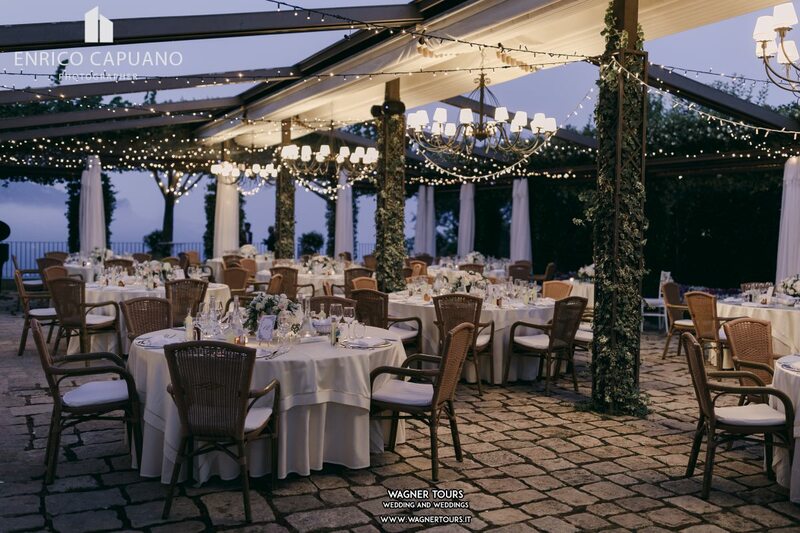 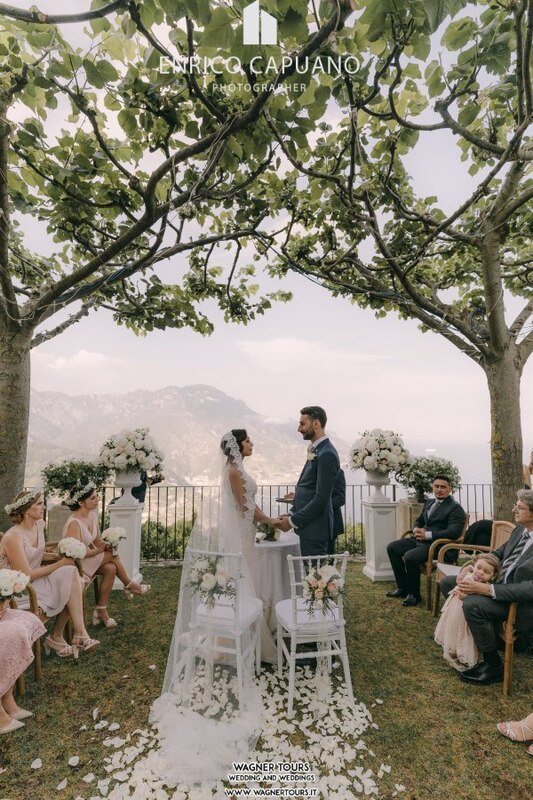 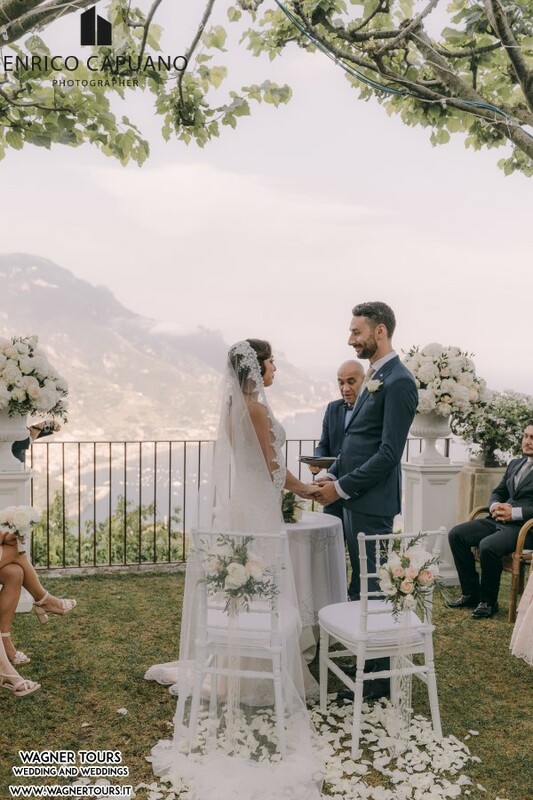 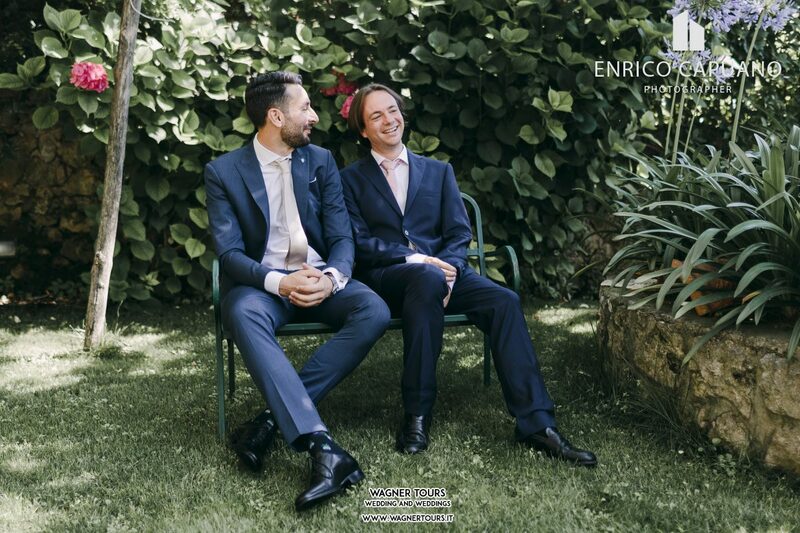 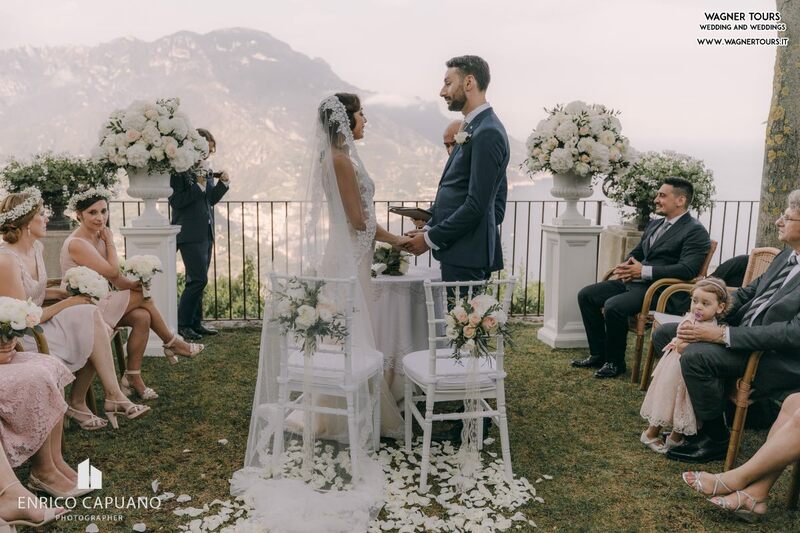 Mario and Annamaria were with us every step of the way, helped with everything possible without missing a beat, from setting up our guests in Ravello to last minute situations during the wedding. 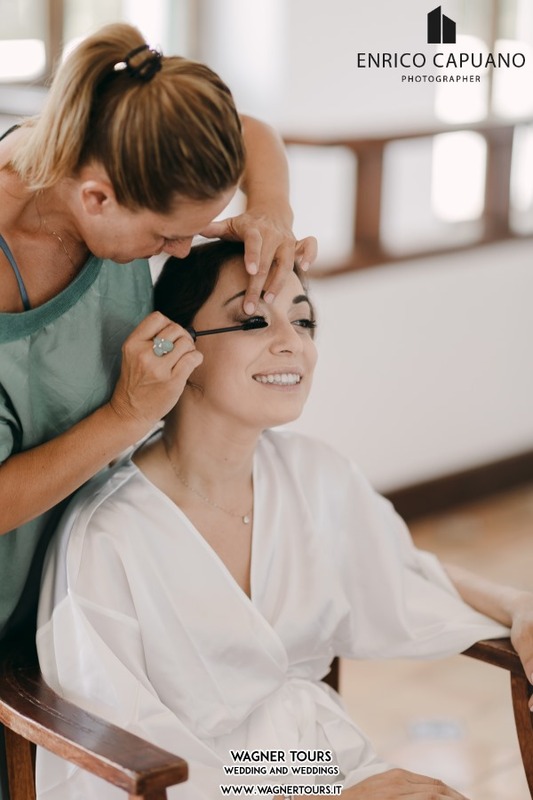 Annamaria was absolutely a Godsend in the days prior to the wedding. 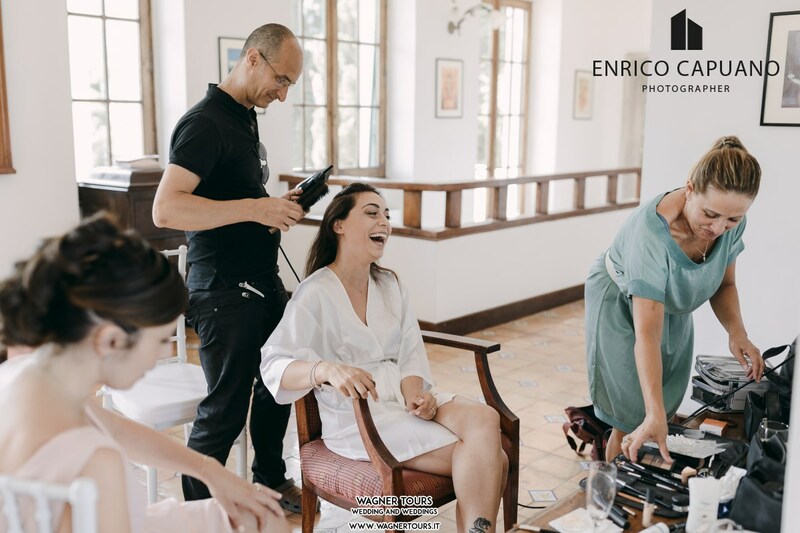 We had a fantastic experience with Enrico Capuano and Pier as our photographers and I can't wait to see the final picture. 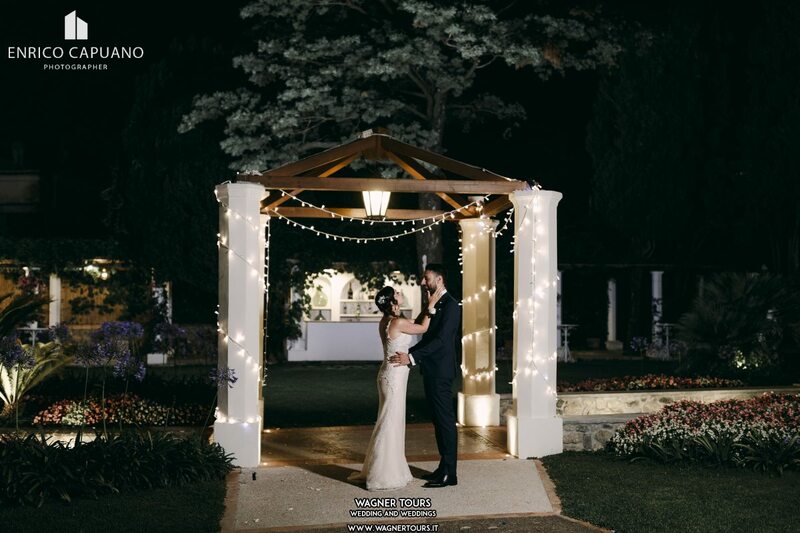 Everything was perfect and we loved every minute of it. 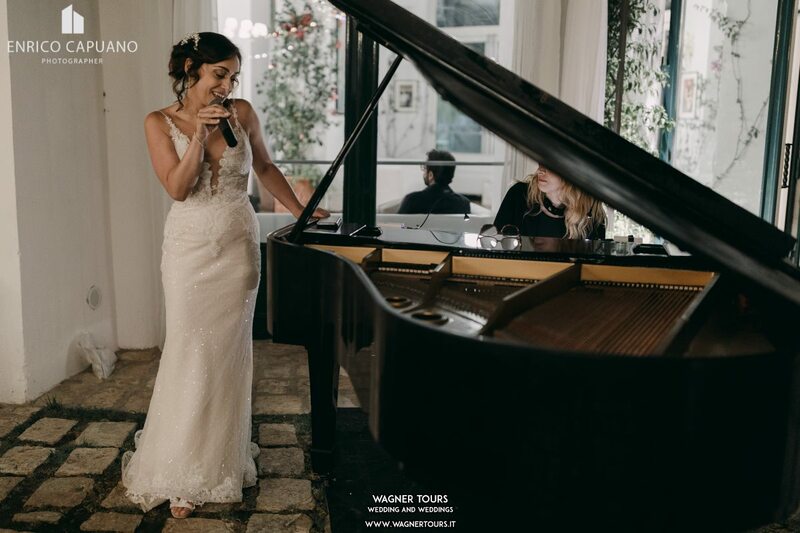 I can't recommend Wagner Tours more.